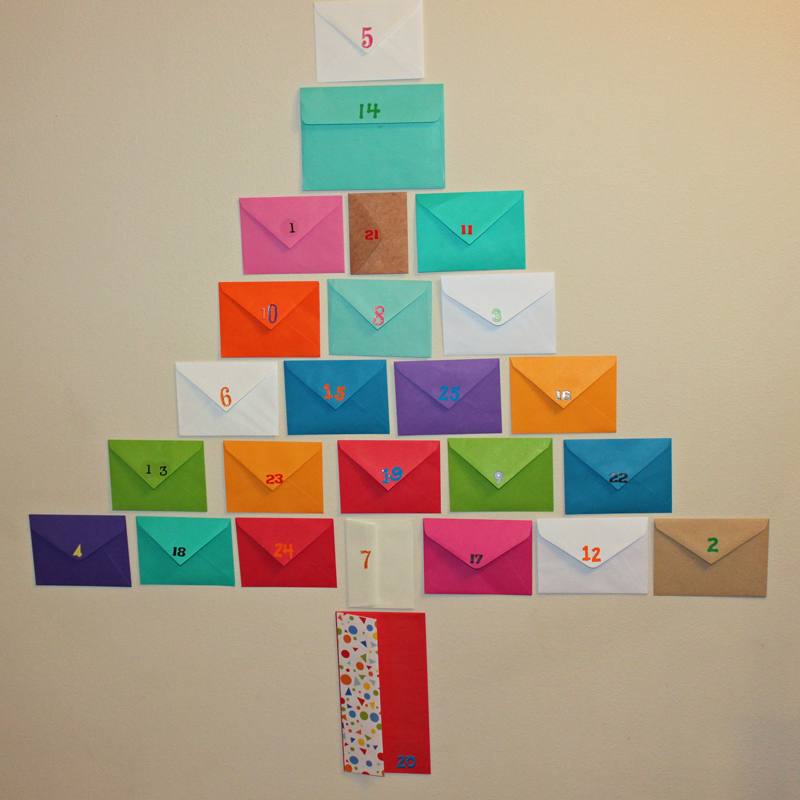 Looking to put together a super easy, festive and fun last-minute <a href="http://www.inhabitots.com/how-to-make-a-simple-eco-friendly-advent-calendar-using-books/">DIY Advent Calendar</a>? My family always looks forward to the first of December because that's when we start our holiday activity advent calendar -- which helps us bond even more as a family during the holiday season. 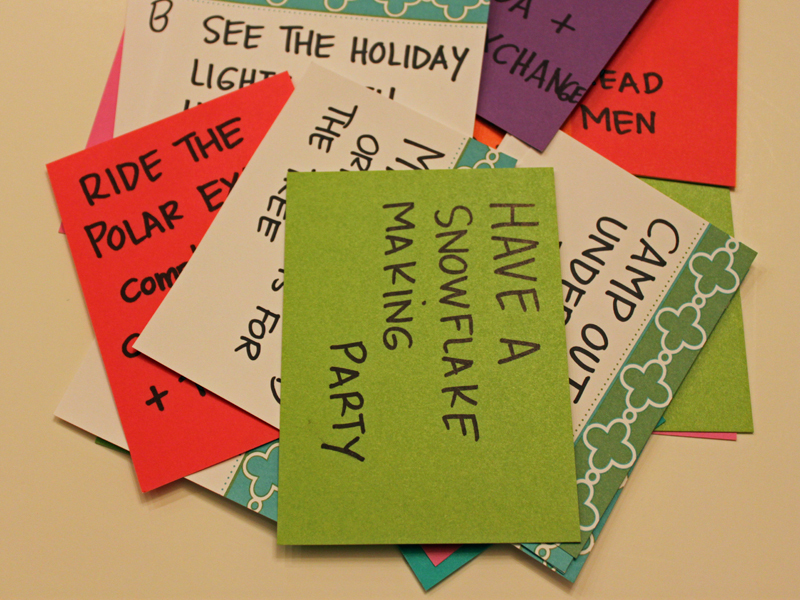 <br><br> I choose activities for the advent calendar based on <a href="http://www.inhabitots.com/5-eco-friendly-family-holiday-traditions-to-start-this-year/">traditions that we love to do during the holidays</a>. Then, I sprinkle in a few new activities each year. For example, this year we have a surprise mini vacation at a nearby beach. 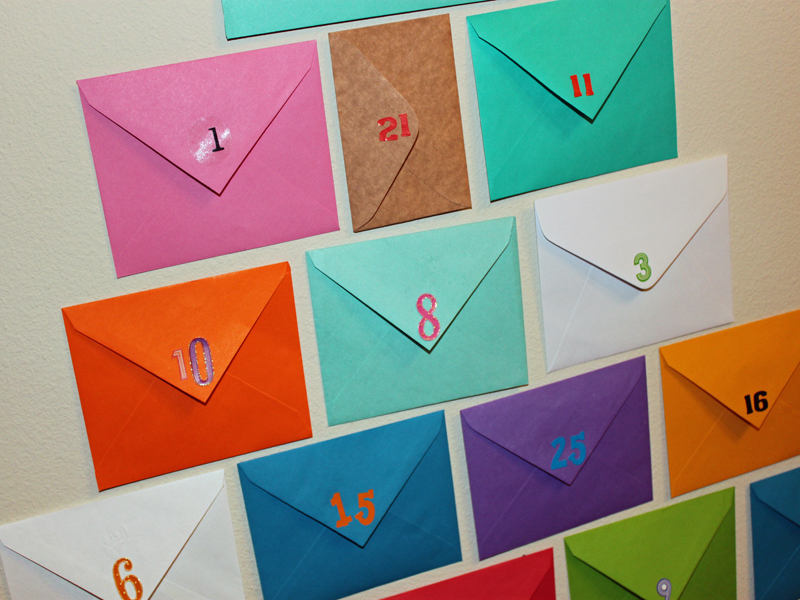 You can make a simple, recycled holiday activity advent calendar using that stack of leftover envelopes you have acquired over the years. 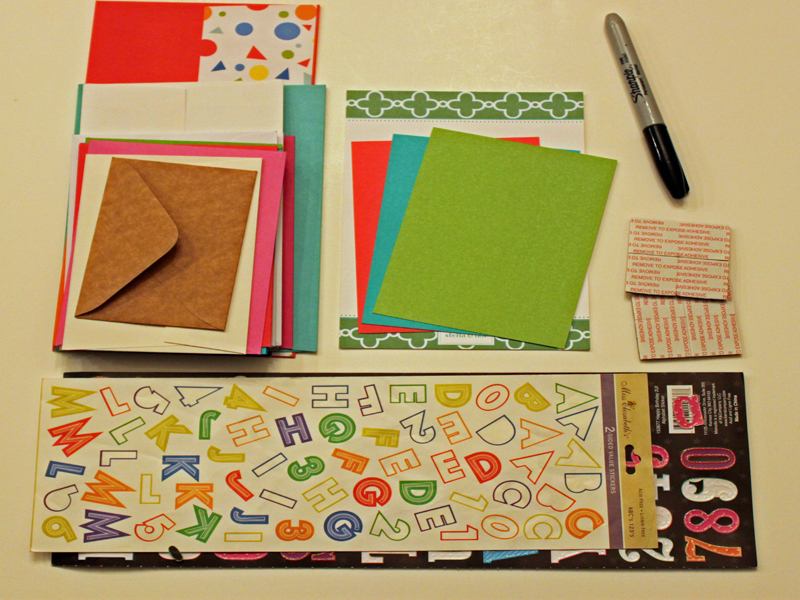 Read on to learn how to put one together tonight in a few easy steps. 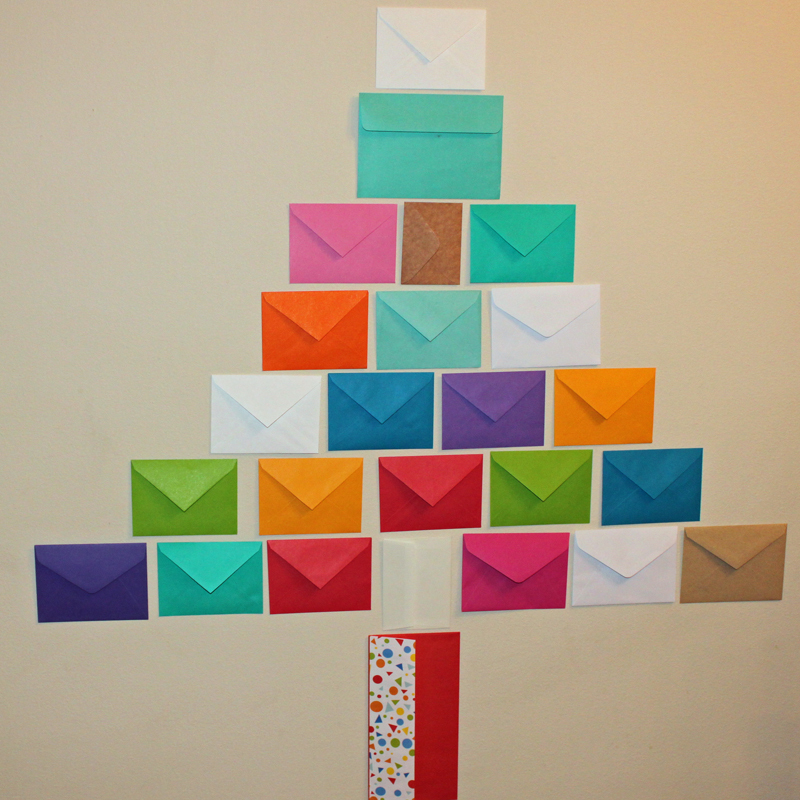 <h2>Step 2: Stick It to the Wall</h2> I used reusable adhesive tabs to attach each of the envelopes to the wall in our dining room. I transferred them from the floor to the wall in the exact same layout, resulting in a fun colorful tree! <h2>Step 3: Number the Envelopes</h2> I had a lot of leftover scrap-booking number stickers that were never used, I decided these would be perfect for labeling each of my envelopes - randomly 1-25. 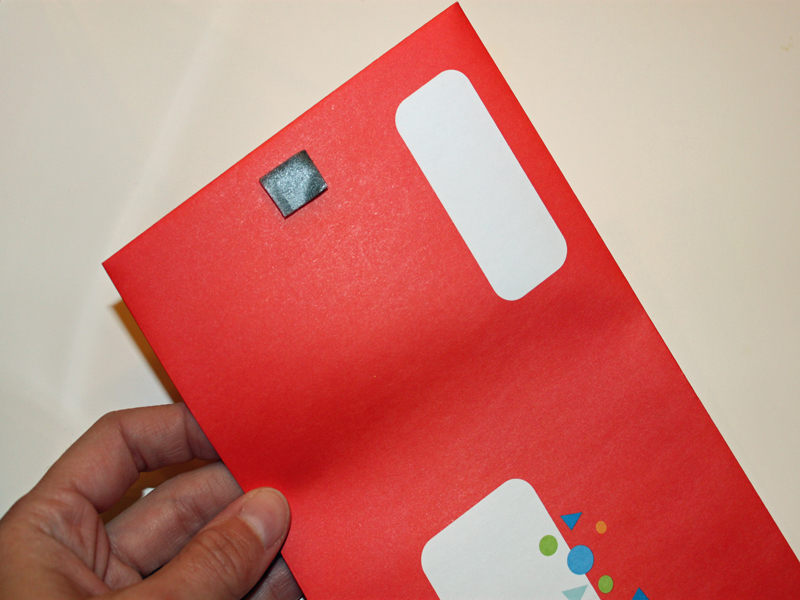 <h2>Step 5: Add Your Activities</h2> Once you have written each of your activities on a piece of paper, slip it inside an envelope, and seal it. I plan each activity ahead of time - that way my son will open the correct envelope for a day that we have time to do that particular activity. 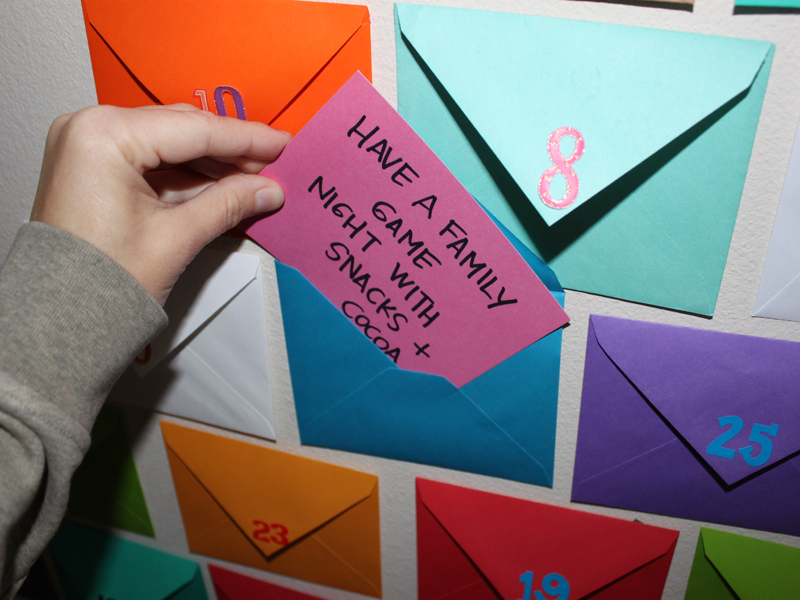 <h2>Step 6: Enjoy Advent as a Family</h2> Enjoy celebrating the entire month of December with fun family activities! This is a great way to really get the most out of December.